NASA has been especially careful these last few months to regularly download collected data from the spacecraft; knowing that each download could be their last. When the propellant ran out and Kepler was no longer able to orient itself towards its targets, it would also no longer be able to reliably point its high-gain antenna at Earth. When properly oriented, Kepler was capable of transmitting data back to Earth at roughly 4.3 Mbps (unusually high bandwidth for a deep space craft), but on the low end data rates could drop to a single byte per second. Leaving Kepler adrift in space with a trove of valuable data locked in its onboard storage would have been a particularly undignified end to the mission, so NASA made sure no data was left behind. The data collected up to this last observation session (referred to as Campaign 19) will keep scientists busy for years. 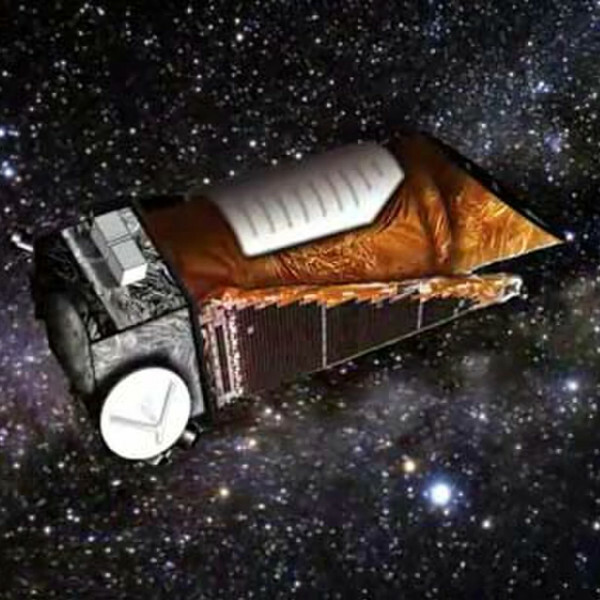 NASA expects the amount of data they’ve pulled down from Kepler to date will yield at least 1,000 scientific papers in coming years, and estimate it will be at least another decade before all of the data has been analyzed. They note that just this summer, a paper was published that used data from 2016’s Campaign 10 observations to identify an additional 44 planets. Not only is there a decade of Kepler data to sort though still, but NASA’s next generation planet hunting telescope, the Transiting Exoplanet Survey Satellite (TESS) is already in space. Launched aboard a SpaceX Falcon 9 on April 18, 2018, TESS began its primary science mission a few months later and has already started identifying candidate exoplanets. Utilizing the same transit observation method as Kepler, where the light from target stars is carefully monitored to detect the telltale dimming when a planet obscures it, TESS will be able to monitor a section of the sky roughly 400 times greater than that of its predecessor. Understandably, expectations are very high. Given the wealth of data Kepler collected watching its relatively small slice of the galaxy, the sky is quite literally the limit for TESS. It won’t be working alone either, the planets discovered by TESS will be considered prime targets for the James Webb Space Telescope when it comes online. This combination of discovery and analysis by the two complementary spacecraft promise to improve our ability to directly image exoplanets, which to date has been very limited. Between the data directly collected during its lifetime, and the successor missions which make use of techniques pioneered by Kepler, we’re looking at 20 to 30 years of discoveries. The conclusion of Kepler’s mission is therefore not the end of an era, but the beginning of a new one; which promises to redefine our knowledge of the galaxy and our place in it. It’s always sad when one of these missions comes to an end, but it sounds like Kepler was worth every penny spent on it and then some. So what becomes of it now? Is it in a stable orbit, or is it “lost in space”? It’s not orbiting around Earth, his orbit is almost the same as our planet and it’s just following behind us as we orbit around the sun. V’Ger: carbon units aren’t true lifeforms. KIRK: V’Ger, …we are the Creator. ILIA PROBE: That is not possible. Carbon units are not true lifeforms. KIRK: We will prove it. We will make it possible for you to complete your programming. Only the Creator could accomplish that.. This one really did change things. Far from a waste of money. HAL: mike, this conversation can serve no purpose any more. Goodbye. Let me guess, you are a Flat-Earther too. Of course, shipping that stuff there for free, having free games, free power and no politically instable environment, that would certainly lead to less radicalization! I mean, 2.4 billion for stable infrastructure, a reliable power grid and a working internet for 6 million people. That’s a bargain! Oh, wait, you just mean dumping 6 million pcs worth 2.4 billion in a war torn country filled with armed warlords and a thriving smuggling economy, and not providing the means for those people to actually -use- said devices? I’m going for the space telescope if you don’t mind. The end of an era. The famous NASA space kepler telescope spends almost a decade collecting information about the existence of thousands of planets and sent wonderful images of our visible universe. Soon will come the day where we launch clusters of light and re-fuel and maybe sometimes repair bots. Even without designing it in a bot could grab on and fire thrusters as well as bring it’s own reaction wheels. The moving bits and fuel which breaks most spacecraft anyways. Being cynical I think that a credit agency like TRW would only go for the big aerospace bucks like comsats. Even with cheap launch the actual satellites, especially for big science, are eye watering expensive.